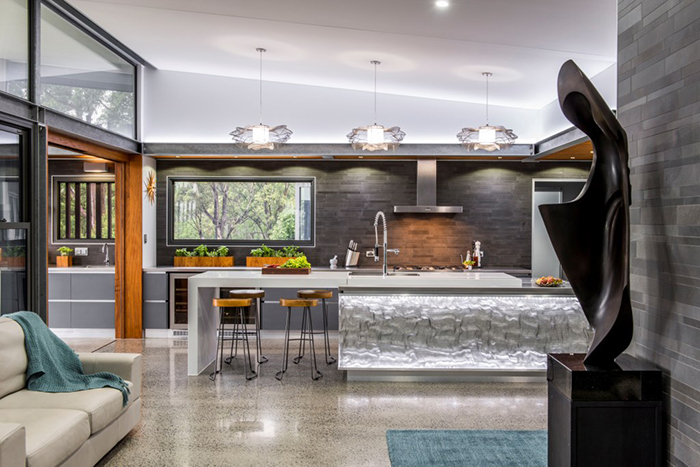 We talk to Kim Duffin from Kim Duffin Design and Sublime Architectural Interiors about all things kitchen design – the essentials, the trends and that quintessential Queensland favourite, the outdoor kitchen. QH: Kim, you always seem to be on the cutting edge with the way that you incorporate new trends ahead of time. How do you think the current technology available on the market is transforming the functional beauty of the kitchen? And what’s your favourite hi-tech feature you’re using right now? KIM: My favourite high-tech feature is using your smartphone or a tablet to turn your kitchen into a high-performance space. Everything can be controlled from the one place. We always embed LED, down and up lighting into every space. They are full RGB programmable and can be used for all three forms of lighting – task, ambient and general. Appliances are now also be developed in conjunction with smartphone technology. So you can set the temperature of your wine storage to prepare for bring home a new case of your favourite wine or pre-heat the oven so that you can pop the leg of lamb you purchased on the way home. This technology not only saves time but helps to preserve food which can help reduce waste. The other exciting technology is coming via our material suppliers. 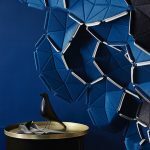 They are developing materials that will be able to endure high temperatures, be scratch and stain resistant whilst being light weight and can compete with natural stone and marble. QH: It’s a popular move to incorporate feature pendant lighting into kitchens these days, blurring the line between style and function. How do you like to use pendant lighting to create some serious wow factor – and what’s the one design that you’re absolutely coveting right now? 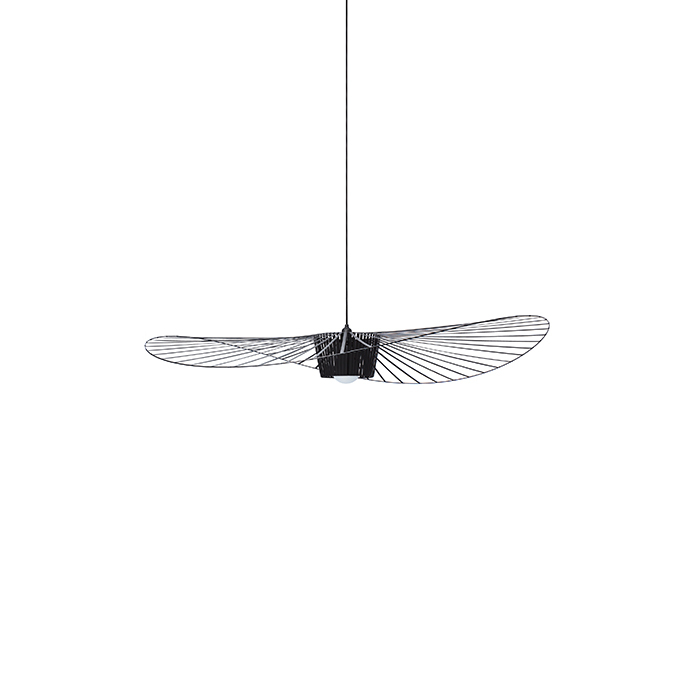 KIM: We fell in love with the Vertigo suspension light for Petite Friture during a recent trip to Milan. Pendant lighting can make or break a space, but the positioning/grouping and the number of lights can also make a difference. QH: In your expert opinion, how does a dynamic kitchen space add value to a home? KIM: We spend so much time in our kitchens. 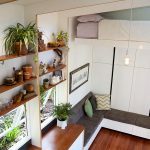 So having a kitchen that is well connected to other living and outdoor spaces is when the saying “The kitchen is the heart of a home” really rings true. When someone enjoys being the space this brings value. When a kitchen has great storage, work zones that make moving from one task to the next effortless and cleaning up at the end of the meal/day is easy, this is why a dynamic kitchen adds value. 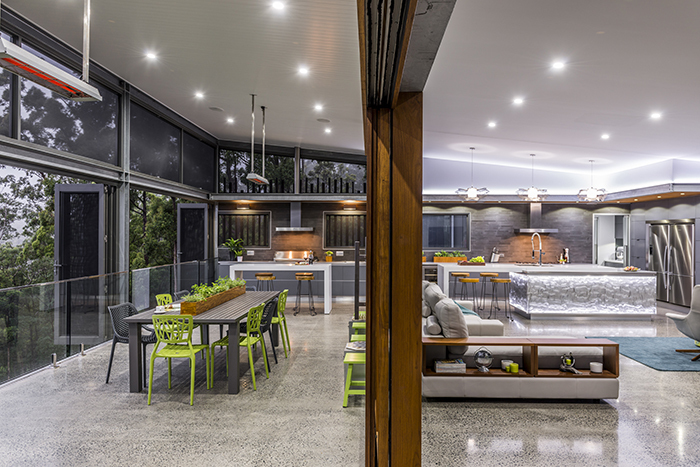 QH: And what about that Queensland favourite – the indoor/outdoor kitchen. 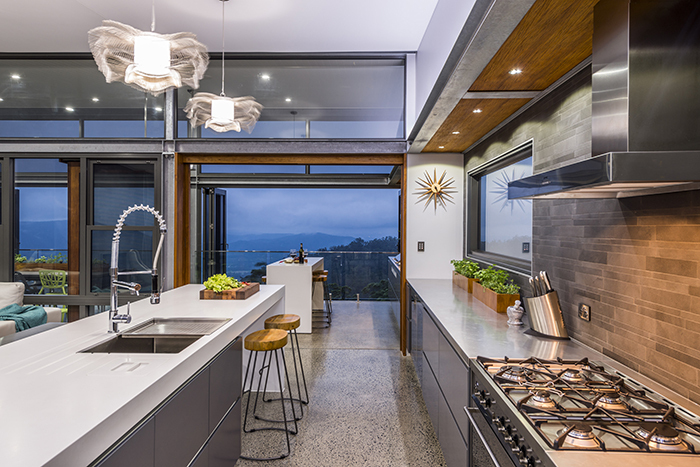 What do you feel is the greatest benefit in extending the kitchen design beyond the confines of a home’s interior? What do you always try to achieve when designing these kinds of spaces? KIM: The indoor/outdoor kitchen is something I have been creating for over eight years now. 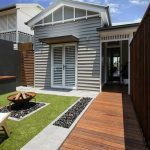 How we live in Queensland has always been centred around the outdoors. So it’s a logical step to bring the indoor kitchen towards outdoor areas. When designing an indoor/outdoor space it needs to be logical. If it does not work then you are better off focusing on two separate areas that will work. I feel that blurring of the lines between indoor/outdoor kitchens also helps the workload of preparing meals, entertaining etc be more evenly distributed between family members. Having the BBQ more connected to the main kitchen means that this style more relaxed of cooking can be done on a daily basis – not just on the weekend. One of my favourite designs we’ve completed so far is this space (above) that has this kind of indoor/outdoor connection. 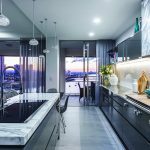 It also incorporates great technology – including movement with a lift system in the island bench that is used to reveal a hidden bar and appliances – but it also uses materials that are very durable matched with ones that can be back-lit to create something truly unique for the homeowner. I also love showcasing the surrounding environment into the home but using windows, sliding doors etc to bring in natural light, our beautiful bush or oceans.